Recently I made a short funny commercial. It needed some music and foley effects but since there wasn’t much budget I couldn’t hand it over to a sound designer and had to do it myself. 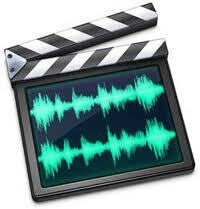 I work on Final Cut Studio and Soundtrack Pro (included) provided everything I needed. It has a very large sound library with music, loops, foley, effects etcetera. But I have to warn you as well. Some pieces of music are used too often. Even some clients say ‘Hey, I have heard that music before’! Stay away from those, in particular ‘Catwalk’, ‘Chelsea Loft’, ‘Elysium’, ‘Pastel Slide’ and ‘Headspin’. Let’s hope Apple ditches these in the upcoming release of Final Cut Studio 4 and get some new, fresh music. 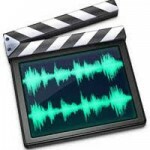 My workflow is to search for pieces of music / foley in Soundtrack Pro, reveal them in the finder, open the sound file in Quicktime, export that as a .aiff file (48 kHz) and use it in Final Cut Pro. Quite a workaround but you get the hang of it quick enough and it saves rendering time. Another way would be to do the sound editing in Soundtrack Pro.